One of the pleasures of being in Berlin is the access to a broad range of performance work, much of which we would not necessarily get to see in the UK. 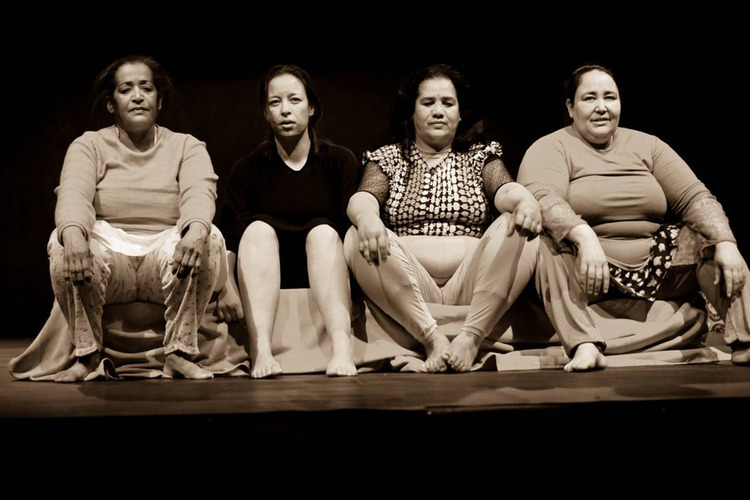 Last week as part of an African/Arabic festival at HAU, I saw an extraordinary encounter between choreographer Bouchra Ouizguen and three ‘Shikhat’ – female performers in Moroccan society whose singing and dancing are central to public rites of passages. For the majority of Moroccans, Shikhat are an indispensible part of religious and national festivity, called upon to entertain at festivals, weddings, circumcisions, naming ceremonies and henna parties, as well as in cabarets and nightclubs. They are both revered and shunned – an ambiguous role explored in Madam Plaza, the performance named after the nightclub where Ouizigen met her co-performers.